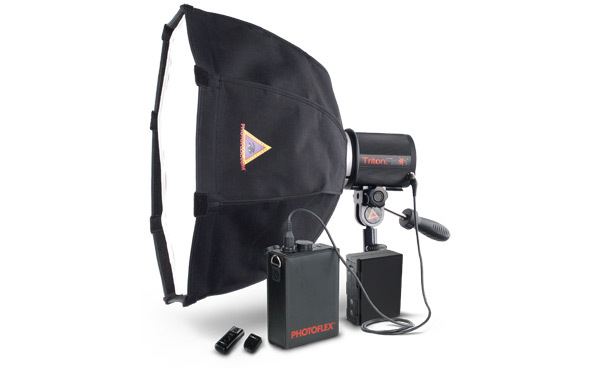 With this deal [photographers] can take any head to any Bowens Hallmark dealer included in this promotion and claim their £75 reduction on the new equipment – even if their old flash head isn’t in working order. Call 0870 458 5258 for more information. Three new lines of umbrellas are available from the online Phottix Store. The Para Pro series are 16-panel parabolic type modifiers with fibreglass ribs, coming in 40″/60″/72″ (101/152/182cm) translucent and reflective models. The Double Small Umbrella is a 36″ (91cm) reflective brolly with a collapsible shaft.